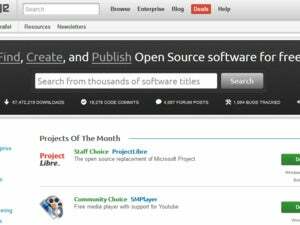 Code repository SourceForge said Monday it will stop including third-party offers without developers’ consent into projects that are no longer maintained, a practice it briefly tried but was widely criticized. “While we had recently tested presenting easy-to-decline third party offers with a very small number of unmaintained SourceForge projects, we discontinued this practice promptly based on negative community feedback, it wrote. SourceForge, which is owned by Slashdot Media, archived popular photo editing tool called GIMP-Win on one of its mirror sites, since its author didn’t want to use SourceForge for distribution anymore. 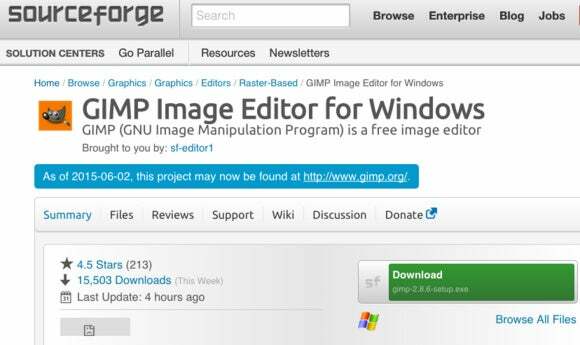 It was then wrapped with third-party ads, and SourceForge was accused of hijacking GIMP-Win. In November 2013, SourceForge launched a program to stop misleading ads that appeared on the site. Some were considered deceptive, featuring a “download” button, which SourceForge said it would clean up by working with its advertising networks. It also pledged at that time it would never bundle ads into software without the developer’s consent. At the time, it was piloting a program called DevShare where applications could be bundled with advertising in order to bring revenue to developers and SourceForge, which incurs costs for maintaining its site. Although SourceForge is still offering GIMP-win—now without ads—that project has its own website. On Sunday, GIMP-Win wrote that SourceForge abused the trust placed in it and cited the website’s prior pledge to ask for consent before bundling ads. “To us, this firmly places SourceForge among the dodgy crowd of download sites,” it said. Even if SourceForge abides by its latest policy, “these promises are likely to become worthless with any upcoming management change at SourceForge,” GIMP-Win wrote.